ISO 9001 is a comprehensive quality management system standard. ISO 9001is maintained by ISO, the International Organization for Standardization and is administered by independent accreditation and certification bodies. 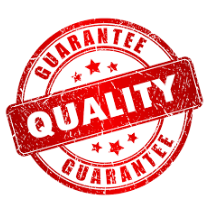 By having a recognized management standard it allows us to tell our customers that when it comes to quality and industry standards, we are serious about their needs. CPE is proud to be ISO 9001 certified. Custom Protect Ear has been independently audited and certified to be in conformance with ISO 9001. This certification assures our customers that the quality of the products they currently trust to protect their hearing, will be the same quality they will get every time in the future. In addition to being ISO 9001certified, CPE is a member of AIHA (American Industrial Hygiene Association) and the NHCA (National Hearing Conservation Association). CPE is also a member of the Acoustical Society of America and serves on the standard setting bodies of the ANSI S12 Committee, Working Group 11, responsible for the standards by which hearing protection is measured, as well as CSA S304 Noise and Vibration Technical Committee responsible for CSA’s set of hearing loss prevention standards Z94.2-02.